BELGIUM: Danish company Bladt Industries will build and install 24 foundations for the substation and 23 turbines at the 224MW Northwester 2 wind farm. The offshore foundation firm will first design the monopiles and transition pieces alongside developer Parkwind and EPCI (engineering, procurement, construction and installation) contractor Jan de Nul. It will then carry out preliminary work on the foundations from 1 November 2018, the company stated. The 23 foundations will support MHI Vestas’ V164-9.5MW turbines in the first commercial deployment of the model. It was awarded the turbine supply contract in April 2018. In addition to the most recent contract award for the foundations, Bladt had also previously signed an EPCI agreement with Parkwind to design, build and install the project’s substation. 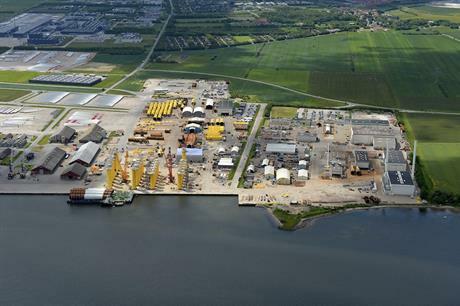 The company will fabricate both monopiles and transition pieces at its production facilities in Aalborg, Denmark. Each monopile will be up-to eight metres in diameter, up-to 82 metres long and weigh approximately 1,000 tonnes. The transition pieces will be up-to 6.8 metres in diameter, approximately 20 metres long and weigh 189 tonnes. Northwester 2 will be installed in the Belgian North Sea about 46 kilometres from the shore. It will be connected to the modular offshore grid (MOG), which transmission system operator (TSO) Elia expects to be fully operational by mid-2020. Developer Parkwind reached an agreement with the Belgian government for a strike price of €79/MWh for the project, provided it was online in time to help the country meet its 2020 target of sourcing 13% of its electricity from renewable sources.